Some days it's hard to know what to blog about. In all my experience today it's hard to think of something relevant to Blog about. I did meet with a choreographer to go over some design development..... but I can't show you that until later. So... on a late night when i can't think of anything particularly inspiring to post... I will post an illustration from a while back. I did it in soft pencil and eyeshadow. 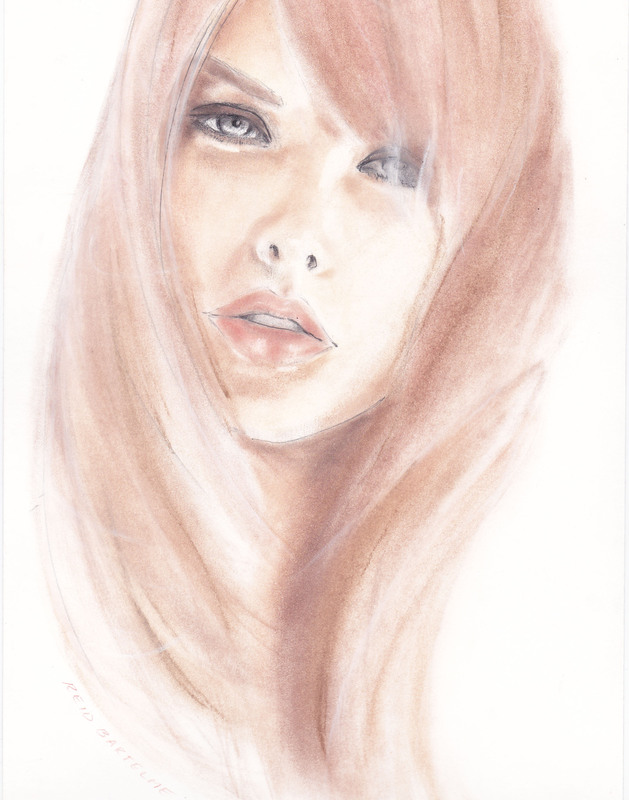 I drew it from a photograph of a hair model...... ahhahah. It was a school project...... But it turned out soft and pretty.